- The rehabilitation of the Church of the Virgin Mary of the Armenian Orthodox Church in Baghdad was completed on Saturday after being funded by the Tamkeen Initiative Fund. 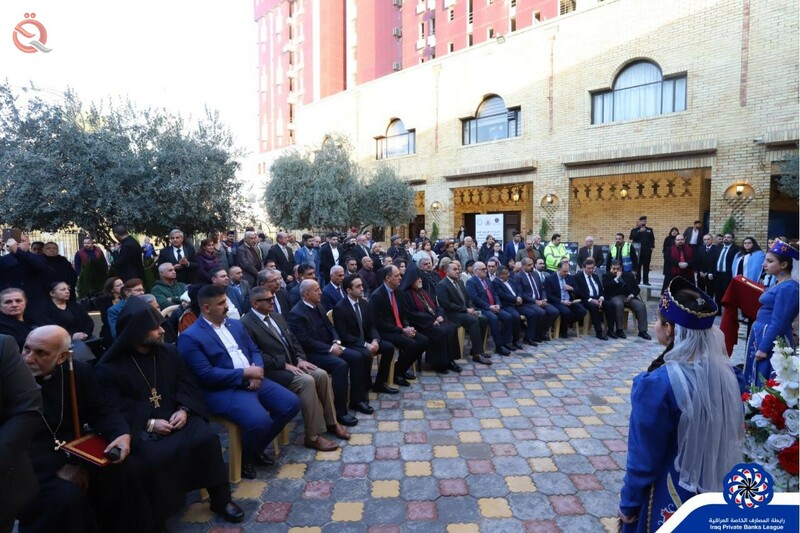 "Baghdad is the perfect place for interfaith coexistence," Culture Minister Abdul Amir al-Hamdani said during the graduation ceremony, which was attended by "Economy News". "The ministry is keen to celebrate Iraq's heritage as a heritage and a homeland," he said. He added that "the policy of the ministry focuses on the bright side of the Iraqi personality, which is not a personal image as portrayed by some." In turn, the Deputy Governor of the Central Bank Munther Sheikhli, the cooperation between the Central Bank and the Association of Iraqi private banks through several projects that have been completed in accordance with this cooperation. He added that the Association of Banks is proactive in providing assistance in any project returned to Baghdad, pointing out that "all religions that arose in Iraq was a message of love and peace." The Executive Director of the Association of Iraqi Private Banks, Ali Tariq, reviewed the project of rehabilitation of the Church of the Virgin Mary of Armenians Orthodox, saying that the project was set to "90 days to rehabilitate the external and internal area of ​​the church was in two stages, but ended in 60 days." Tariq stressed that the speed of achievement was due to the dedication and keenness of all the workers in the project to accomplish the magnificent picture that you see before you. He revealed that "the total cost of the project is 274 million dinars and the number of workers were 50 workers and engineers working on a daily basis and work rate of approximately 24 hours." The head of the Armenian Orthodox community in Iraq, Archbishop Avakka Azogdrian, said in his speech about the presence of Armenian Orthodox Jews in Iraq, saying: "Their presence dates back to the Babylonian era, where they had a neighborhood called the Armenian Quarter, and the Armenians have a church in Basra dating back to 1222, In Mosul in 1375 AD and this particular church was allocated to the land in 1629 and began to build in 1639 and officially to the Armenian community in 1648. And that it has seen many rehabilitation works and today is one of the most important religious centers of Armenians Orthodox in Iraq.